items at a great price. mechanics and expert customer care. Eddie’s Auto Parts Company is proud to offer auto repair and maintenance services with the experience and professionalism you expect. When you visit our shop in Parkersburg, WV, you can expect high-quality automobile services whether you have a car, van, truck or other type of vehicle. Our customers in West Virginia and Ohio rely on Eddie’s for all of their automotive concerns and needs. 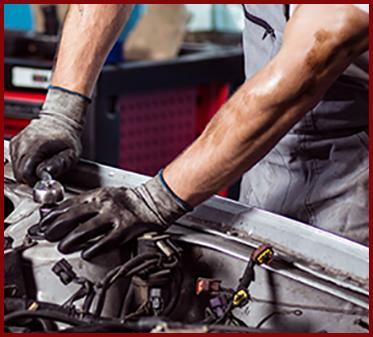 No matter the reason why you need automobile repair and maintenance services, you can trust that you will be receiving the best workmanship in the area. Eddie’s team has the knowledge and skill to work on all make and models of vehicles both domestic and foreign. To learn more about our services or to schedule an appointment at Eddie’s Auto Parts Company, call us at (304) 422-6486. With our auto technicians’ experience and skills, no automobile repair is too complicated or too simple at Eddie’s Auto Parts Company. We are happy to complete service and repairs on any vehicle. Visit our shop in Parkersburg, WV, for the experience, equipment and tools, and professional technicians you need for auto repair and maintenance.